Get it? Space nursery? Out of this world? Can you even believe this nursery? It's just too perfect- every detail thought out. I can just see him playing on the floor in there when he's older. Oh the fun he will have! Scott, Caroline, and Holden- like one big hug, this precious family exudes love, joy and gratitude. Holden is their 15% chance…their hope…he is the one meant for them. My heart knows the in’s and out’s of their struggle all too well, but the Parrott family continued to sing their song, never giving up on their dream of becoming parents. Being invited into their loving home and having the chance to be in the presence of truly raw and humbled hearts, reminded me of the hope I carried in my own heart for each one of my children. Children are truly a gift from God. I’m honored to have been a part of the Parrott Family story and my prayer is that, just like the constellations lovingly painting on Holden’s nursery wall, you will continue to watch over him and guide him as he grows. For real, genuine sessions like these, we push what a newborn session is supposed to be and explore what life is really like. Share your family with me and let's explore together! 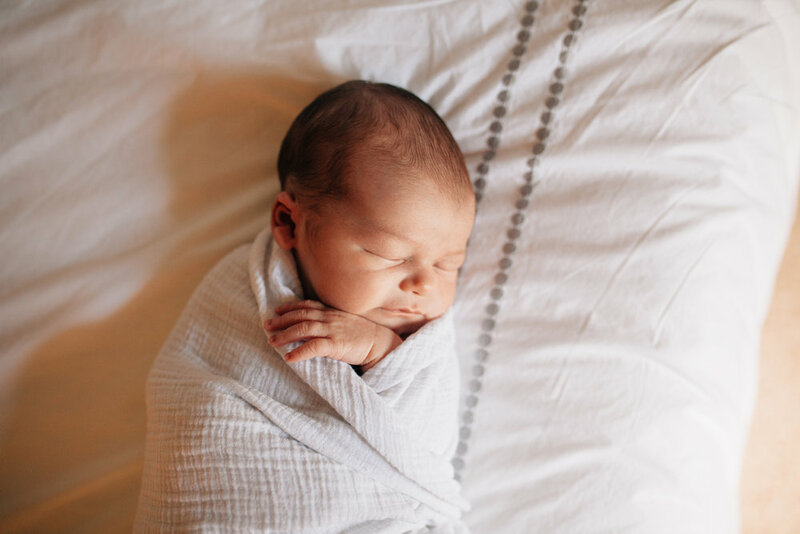 Ashley’s best tips to get beautiful newborn photos in your own home! Check out a few of my favorites from this newborn session- the light is to die for! We got to share a day together in their home- intimate firsts and overflowing with love, their joy was palpable.